Healthy Inside ~ Fresh Outside..!! 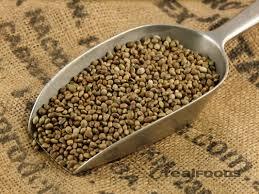 : What Are the Benefits of Hemp Seeds? You've heard the buzz about hemp seeds, but you're not sure you want to add it to your diet because of random drug tests at work. Well, you can put your worries to rest. While it may look like marijuana, the hemp plant is actually a different species of cannabis and contains very little of the active ingredient, THC -- or delta-9-tetrahydrocannabinol -- that gives marijuana its reputation. And the hemp seeds, loaded with healthy fats, protein and essential nutrients, offer a number of benefits and make a healthful addition to your diet. If you're looking for a vegetarian source of omega-3 fatty acids, hemp seeds make a good choice. Omega-3 fatty acids are essential fats that help reduce inflammation, and getting more in your diet may reduce your risk of heart disease. They may also help lower cholesterol and blood pressure. Omega-3 fatty acids are found in concentrated amounts in the brain, and may play an important role in helping memory and cognition. So, start the day with a little heart and mind boost by adding hemp seeds to your hot cereal or yogurt. Hemp seeds contain all of the essential amino acids, which makes it a complete source of protein just like chicken, fish or beef. Adding three tablespoons of hemp seeds to a salad or smoothie adds 10 grams of high-quality protein. While protein is not lacking in the American diet, the 2010 Dietary Guidelines for Americans recommends including more non-meat sources of protein, and hemp seeds make a healthy choice. While hemp seeds offer a number of nutritional benefits, they are a concentrated source of calories, with 170 calories per 3-tablespoon serving. To help control calories, the Dietary Guidelines for Americans, 2010 suggests when including foods like hemp seeds in your diet to limit your portion and use them in place of other sources of protein such as meat or chicken. Kym Douglas, in the book "The Black Book of Hollywood Pregnancy Secrets," notes that hemp seeds are one of the superfoods that are a great weight-loss helper. This may be in part due to hemp seeds being high in omega-3 EFAs, which, according to Margaret Furtado in "The Complete Idiot's Guide to Eating Well After Weight Loss Surgery," has been shown in studies to increase satiety in those who are overweight or are trying to cut down on calories. Furtado adds that omega-3s have been shown to have anti-obesity effects. Hemp seeds may thin the blood due to their high omega-3 content. If you currently take blood thinning medication, check with your doctor before adding hemp seeds to your diet. The oils in hemp seeds can go rancid over time, so it is advised to keep them in the refridgerator and dispose of them if you do not consume them within two months.